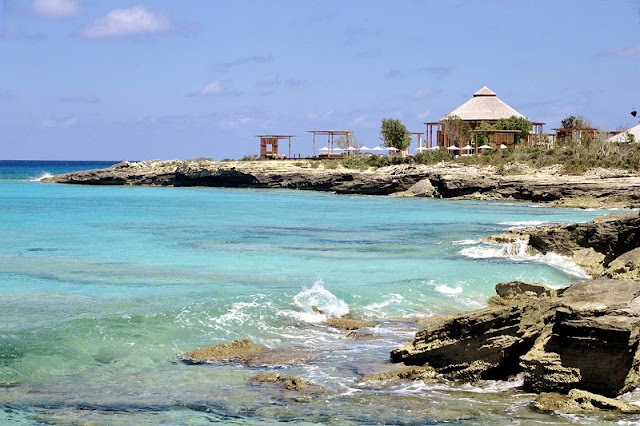 "No request is too great - and no detail too small"
Amanyara sits on Provo's undeveloped western shore, inside a 5,000-acre nature and wildlife reserve called Northwest Point. This spectacular Turks & Caicos luxury property boasts an oceanfront setting atop low rocky headlands with natural rock bridges, and sugar sands white beaches. 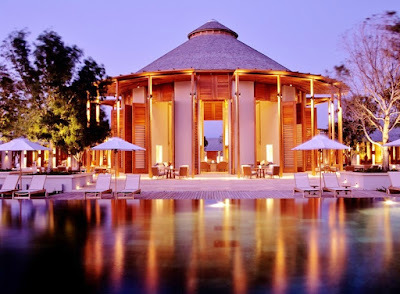 This is the largest Aman property of Singapore-based Aman Resorts with 40 guest pavilions and over 30 multi-bedroom villas. 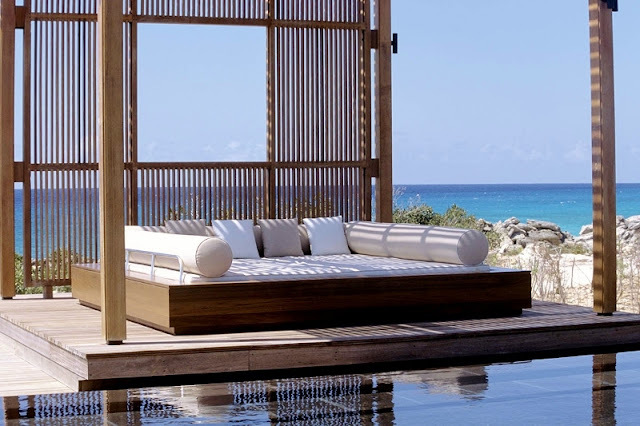 There are no "hotel rooms" at Amanyara - guests either check into large luxury villas or individual pavilions. free-standing tub, two vanities, rainfall shower, and ample outdoor space. Villas feature three to six-bedrooms, private infinity pools personal chefs, butlers and housekeepers, golf carts, and kitchens. The majority of the villas feature ocean views, and some offer direct beach access. 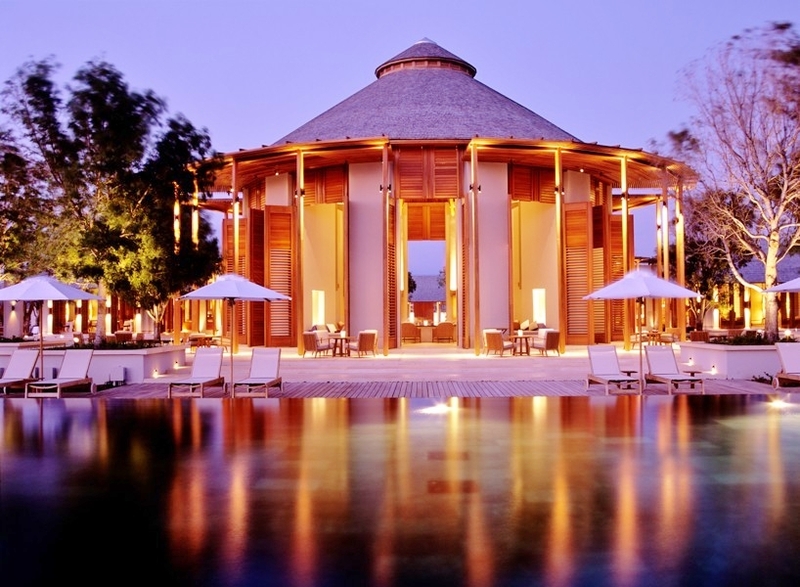 The Asian inspired decor includes design elements like floor-to-ceiling windows, teak decks and wood features throughout. Nature Discovery Center features an indoor/outdoor camp adjacent to the beach. Marine and natural history educators conduct programs for younger guests, and the center offers a shallow pool for young children. Well-mannered dogs are also welcome! Dog amenities include beds, food and water bowls, nutritional bones, pet-approved snacks, dog toys, personal care products, courtesy bags and a leash. The Restaurant - Asian and Mediterranean inspired fare featuring fresh seafood and organic produce grown in the resort's vegetable garden. The Beach Club - Casual atmosphere - Specializing in Asian-influenced raw dishes and items baked in the restaurant's stone hearth oven. Circular Bar - Available by the pool for lighter lunch fare and cocktails. 164-foot black volcanic rock infinity pool surrounded by a teak deck, lounge chairs with umbrellas and three open-air pool cabanas with daybeds. Beach side beverage service, free non-motorized water sports equipment - Hobie Cats, ocean kayaks, boogie boards, snorkeling equipment, twice-daily snorkeling trips, paddle boards and catamarans. The island is surrounded by the third largest coral reef system in the world, and is a haven for marine life, birds, flora and fauna. The flight to Turks & Caicos is just an hour from Miami, followed by a 25-minute drive to the resort. 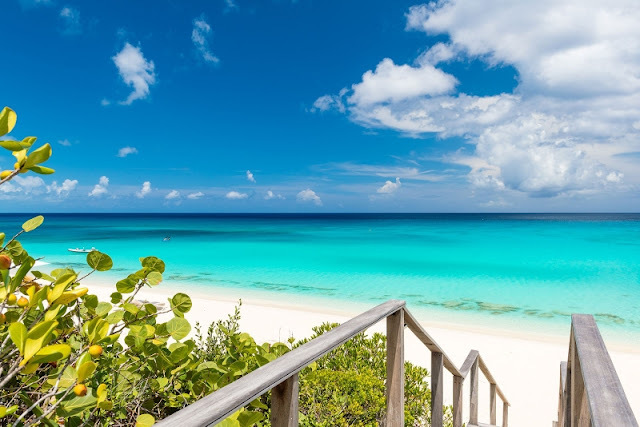 The property is located approximately 9 miles from Providenciales airport, and transfers to and from the airport are complimentary for guests.